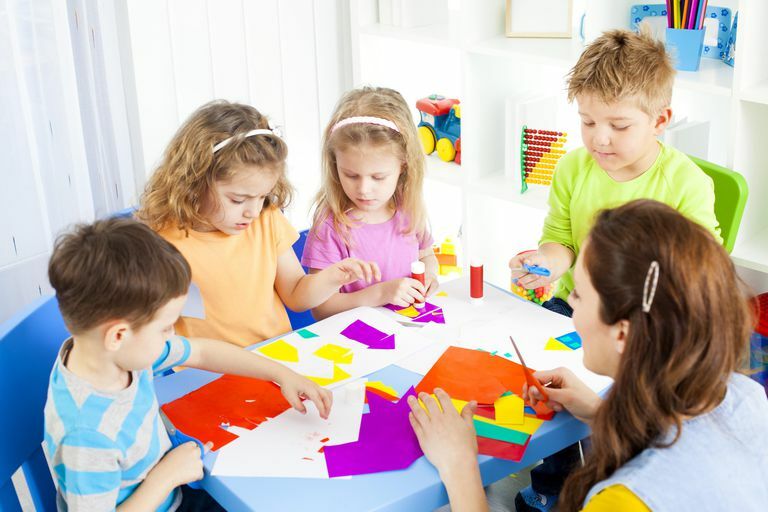 When you are looking to choose a preschool for your child to attend, whether it is the first time or you are switching schools, keep in mind that there are many different educational philosophies to choose from, even at a young age. If you prefer a setting where the child is viewed as capable of steering and directing their own learning process, the Reggio Emilia approach might be a method you want to consider. The Reggio Emilia approach is an early education or preschool philosophy that uses four key principles to focus on a child's natural development. The approach is both child-centered and directed, taking the philosophy that learning must make sense to the student (even the youngest students) in order to be effective and meaningful. A child's point of view is completely respected and the student is encouraged to follow their own educational path. It is believed that a child's driving sense of curiosity, along with their inherent potential will foster an interest in learning, allowing them to learn and succeed long-term. It is that curiosity and potential that should ultimately set the path and the direction that any and all learning will follow. Children must have some say over what they learn; additionally, the senses play a big role in the learning process. Children must be able to touch, move, listen, see and hear in order to fully process something. Children are encouraged to interact with other children and explore the world through material items and relationships. Children should be encouraged to always express themselves and be given infinite means and opportunities to do so. This unique approach to educating children was founded in the villages around Reggio Emilia, Italy after World War II. Parents were looking for a way to teach their children and found that the early years of development were the best time to help children figure out who they are as individuals. The villages in and around Reggio Emilia still follow these principles today. Students are taught by atelieristas, who are teachers with arts backgrounds. Parental involvement is invited and encouraged. Many parents volunteer in the classroom and employ many of the methods found in the classroom at home. A major tenet of the Reggio Emilia philosophy is that students should study in environments that are similar to home. Classrooms are also aesthetically pleasing. When it comes to actual learning, a variety of materials and vehicles are used — clay, paint, dramatic play among others. Individual and class projects are often undertaken and last for weeks and sometimes months. These projects allow students to learn about many different facets of whatever it is they are studying. Documentation is a way for children to display what they have learned at school. It could be a project that a child has created or a series of drawings that have been created throughout the school year. Documentation is a way to show a child's progress in learning. Co-construction is the method used to increase a child's learning while they are working with another child or other children. Co-construction allows for active dialogue and collaboration between the students and the teacher. Flowcharts are the system used to record curriculum planning and assessment. They record progress step-by-step and are designed to record the past, present, and future. Portfolios are a collection of a child's work over a designated period of time. When choosing a preschool, while Internet and reading research is important and necessary, nothing is better than actually visiting a school and seeing firsthand if it is something that you think would be appropriate for your preschooler. Just because an early educational philosophy sounds like it would be a great fit for your little one, in practice it might not be. So be patient and be prepared to ask lots of questions.